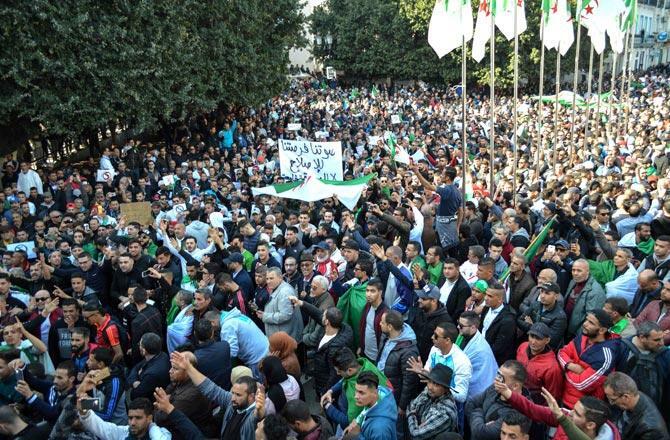 It turns out President Bouteflika’s resignation was only a tiny part of Algeria’s anti-government protesters’ demands. 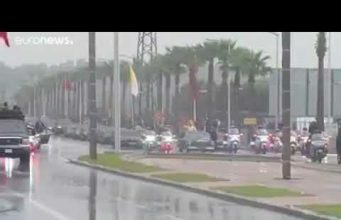 Rabat – Algerians are back to the streets to protest against the Bensalah-led interim government, saying they want an immediate and total break with the Bouteflika regime. 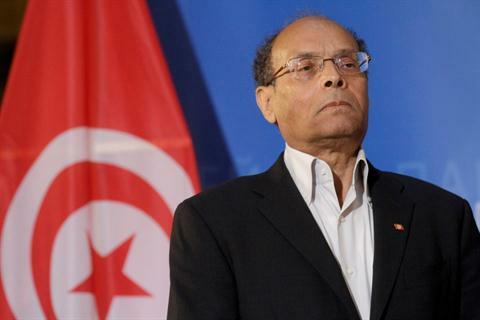 On Tuesday, Parliament appointed Abdelkader Bensalah, the 77-year-old former president of the Council of the Nation, to rule the country during the three-month-long transition until the next election on July 4. While Bensalah is barred from running in the “transparent” elections he has promised, Algerians see his rule as an extension of the Bouteflika years. Thousands came out on Friday to mark the eighth week of protest against against the country’s political establishment. While protesters sang “peace, peace,” to suggest they were simply here to express disappointment at the turn of events instead of vandalize, police did not hesitate to fire tear gas. As they faced, undeterred, the riot police’s firing tear gas to contain them, they chanted “they will all leave,” an anti-government slogan suggesting that the youth-led movement want a total rupture from the old regime. 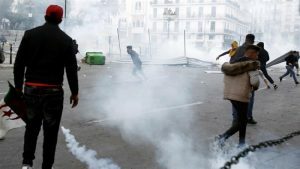 Police claim that the “infiltrators” are using violence to influence the agenda of what started off as peaceful protests against former President Abdel Aziz Bouteflika. 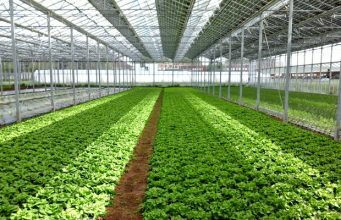 But analysts have denied those claims, with suggestions that the remaining Bouteflika clan, still controlling the country, is seeking to delegitimize the anti-Bensalah fervor. 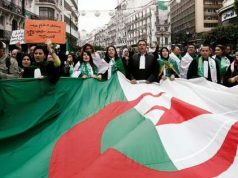 Despite perception that authorities will not hesitate to harshly repress protesters should they continue staging demonstrations, Algerians are undeterred because their “demands are clear,” Dalia Ghanem, a researcher at the Beirut-based Carnegie Middle East Center, told Aljazeera on Friday. 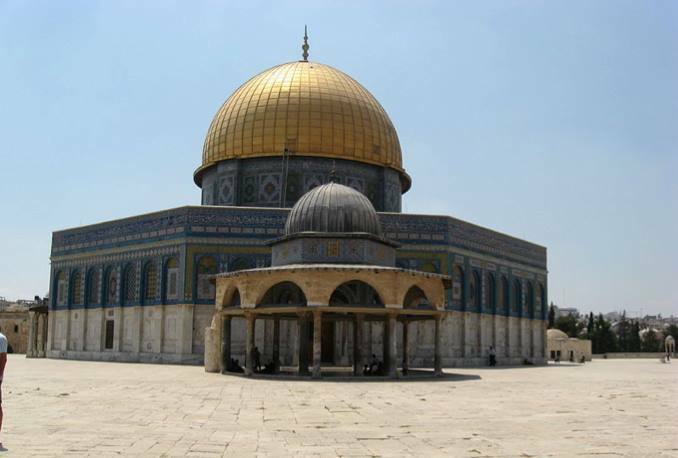 “They know what they can achieve with their protests every Friday but also their daily protests. 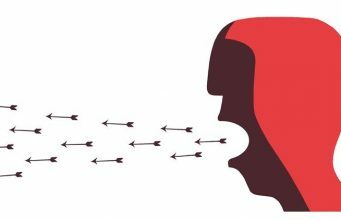 The momentum is here and the status quo is winding up,” Ghanem said. 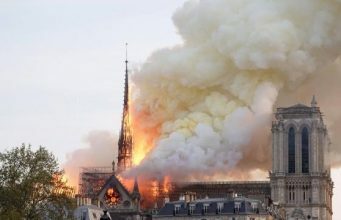 Other analysts, meanwhile, have suggested that Algerians have learned from the failed Arab Spring in Egypt and elsewhere. 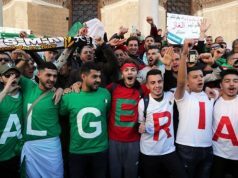 The idea is that Algerian protesters trust neither the army nor the remaining figures of the old regime. 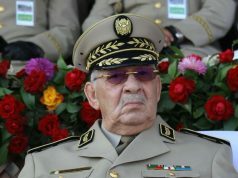 They fear that their revolution could be hijacked and will not relent until they cleanse the country of “le pouvoir,” a French word used in Algeria to refer to the restricted circle of generals, businessmen, and technocrats who “confiscated” Algerian politics during the two decades under Bouteflika. 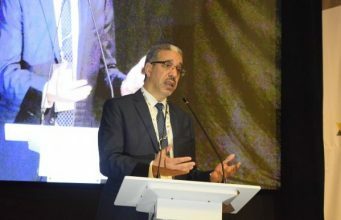 “The July 4 election has already been rejected by the people, which also refuses Bensalah’s nomination,” Algerian philosophy professor Mahrez Bouich said. 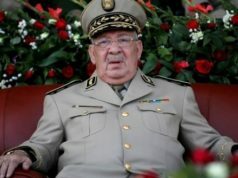 According to Bouich, Algerians will not allow the political establishment to use the constitution to toy with Algerians by removing Bouteflika to only replace him with a kindred leader. 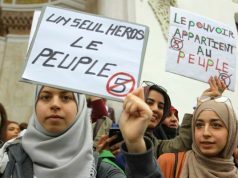 “They will all leave,” one of the key slogans of the anti-Bensalah protests, has been interpreted as meaning that demonstrations will continue until Bensalah and all the remaining Bouteflika “gangsters” are ousted. As the youth asks for a fundamental regime change, it remains to be seen how far General Ahmed Gaid Salah, the army chief of staff who has already denounced the crowds’ “unrealistic slogans,” will go in repressing the visibly unfading tide of anti-government protests.